At 13 months I had really expected Archie's sleep to have fallen into a routine, specifically one where he doesn't wake at night, but unfortunately this is not the case. Whilst there are nights he manages a full 13 hours uninterrupted, there are also times he is awake before I have even made it to bed, refusing to settle for anything less than milk. During the day sleep is still not regular and whilst Dylan had his nap at a set time, Archie can fight sleep until 4pm some days, but collapses by eleven on others. 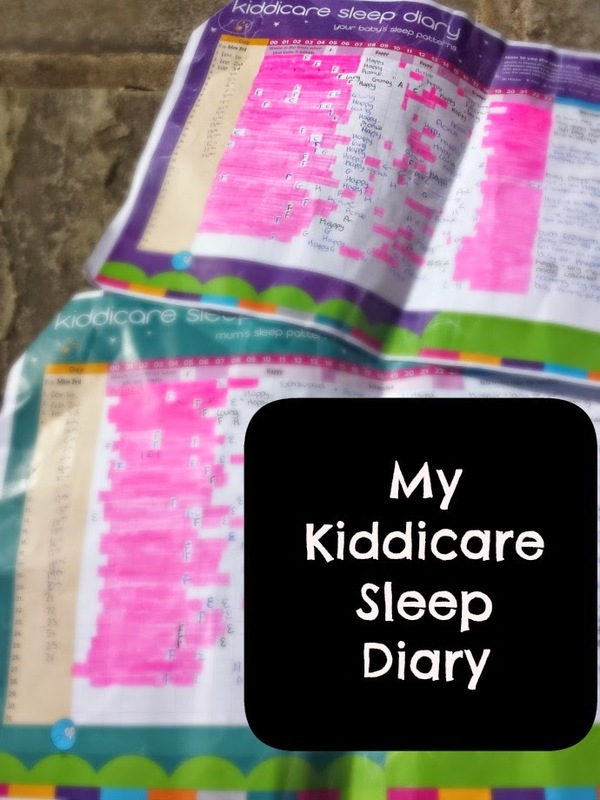 Kiddicare asked me to keep a sleep diary for a month, noting both Archie's and my sleep and moods and I started to get the message after only a few days that maybe it may be my own fault rather than Archie's that I am tired in the mornings as 2am is not the most practical of bedtimes when you have two children under 3 in the house. As much as I would love to get a full 8 hours each night, or even a nice solid 6, I am not prepared to do any real sleep training with Archie. When he wakes up he knows exactly what he wants and there is no chance whatsoever he is being fobbed off with a cuddle and a rock. If I want to night wean then I need to be prepared to listen to hours of screaming and I just can't do that yet. On a normal night, Archie wakes only once for a feed at around 5am and I know plenty of mums who would love sleep like that. Our nights of sleeping through seem to be slowly increasing (with a few hiccups of course), so I am ever hopefully that Archie will get there on his own soon.